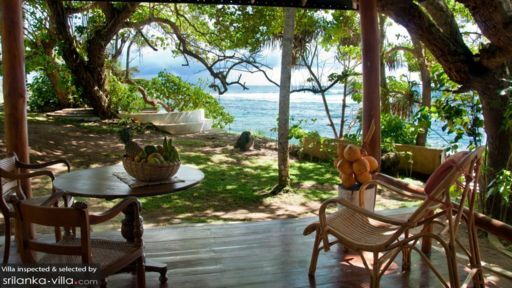 Named after the sea snail (“muhudu bella”), this quirckily designed one bedroom chalet is located in a perfectly secluded location off the Weligama bay on the south coast of Sri Lanka making it an ideal location for a couple, whether on honeymoon or a romantic getaway. 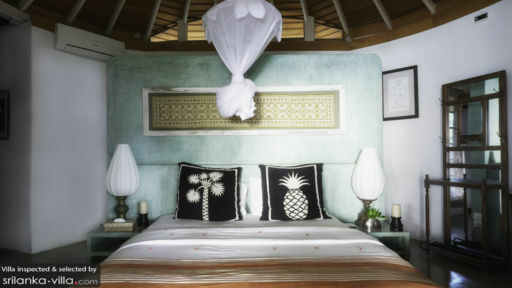 Villa Muhudu Bella as mentioned before has one one room which is occupied by a large comfortable bed. The bathroom which you walk down into through the spiral staircase is a design inspiration in itself being very creatively decorated with pieces to suit the theme of the ‘sea snail’, and with the piece de résistance being the shower which is at the heart of the spiral. The chalet doors open onto a large verenda with a wooden canopy which overlooks a hibiscus filled garden and beyond that the stunning Indian Ocean. The chalet is only one bedroom with the main living space being the bedroom and the dressing room which occupies the ‘top’ floor, then you can go down a spiraling staircase into the bathroom (much like the inside of a snail’s shell – hence the name). Tastefully decorated with antique furniture mixed with some rustic décor with all the luxuries you would need, you can tuck yourself inside the shell that is Villa Muhudu Bella to rest and relax with your loved one. As a part of the Earaliya Villas and Gardens, you will find that privacy does not come at the cost of comfort and all the requisite services and amenities will be provided at Villa Muhudu Bella. 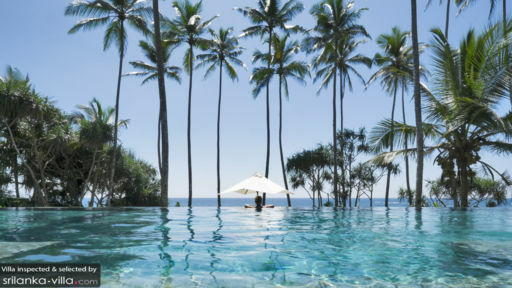 Located in a beach town in the southern coast of Sri Lanka, about 45 minutes of the UNESCO World Heritage site of Galle and about 2 hours from the commercial capital of Colombo, Villa Muhudu Bella is in Weligama which is famous for its surfing friendly waves but also for its stunning beaches.